The origins of Borgo di Carpiano date back to the 10th century when, on the green hillside just outside Gubbio, the imposing Carpiano Castle was erected. In the 17th century, a small church was added to the site. 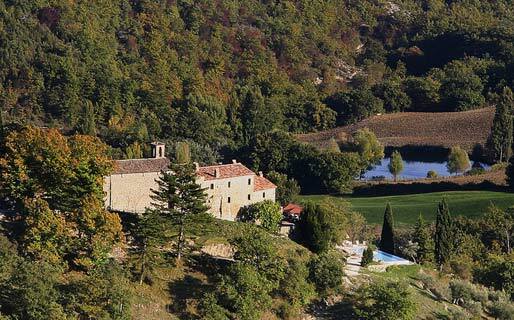 Today the cluster of buildings, hidden amidst the woods and olive groves, has been transformed into a fabulous period residence and country house. 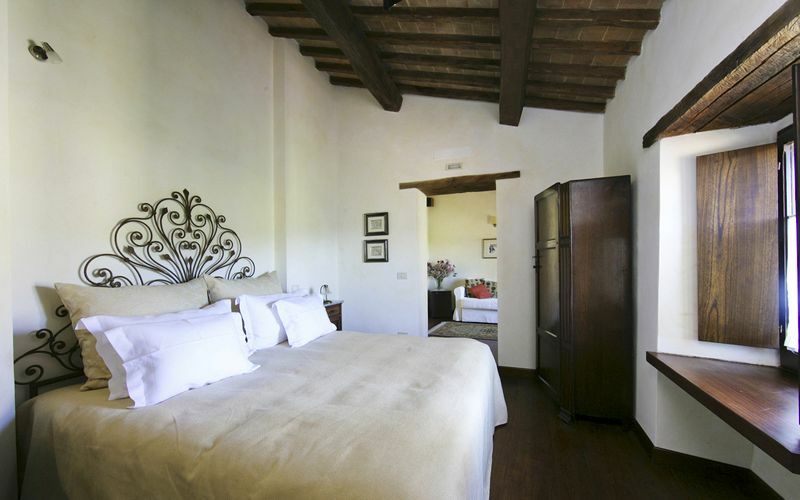 Charming country retreats, Borgo di Carpiano's romantic bedrooms feature a pleasing combination of traditional furnishings and contemporary comforts. 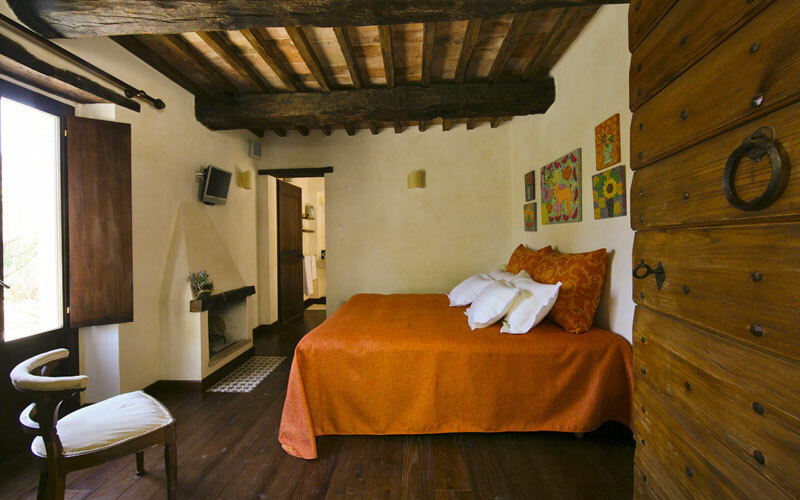 According to the category of accommodation, rooms have old stone fireplaces, panoramic terraces or private gardens. 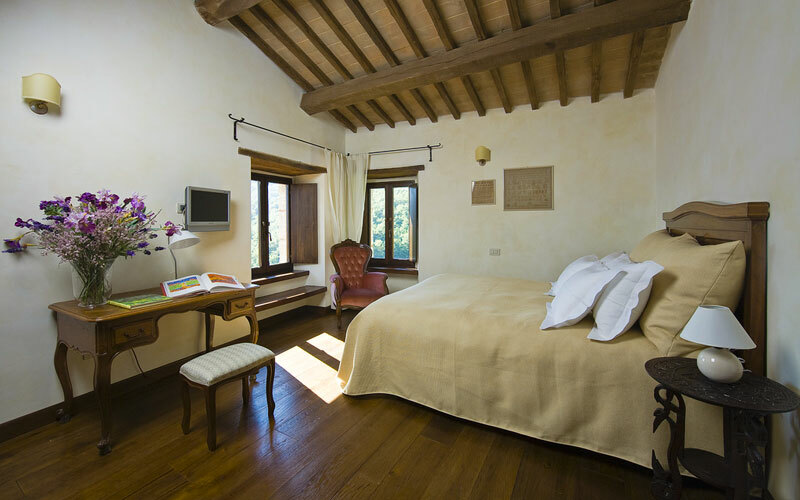 Guests staying at Borgo di Carpiano have every opportunity to savor Umbria's delicious cuisine, starting with the generous breakfast of homemade bread, biscuits and cakes served each morning. 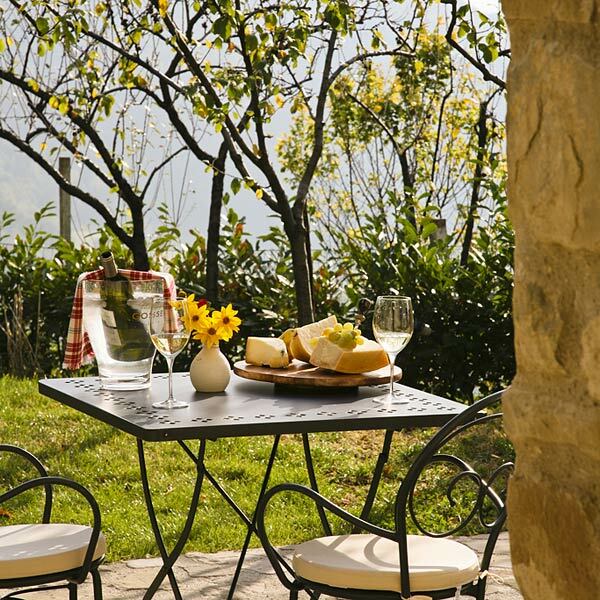 Tastings of local cheeses, olive oil and wine are organized on a regular basis. During the day, guests can choose to laze by the stunning infinity swimming pool, soak up the sun in the solarium and on the panoramic terraces, walk through the gardens and along the various nature trails or even indulge in a relaxing massage. 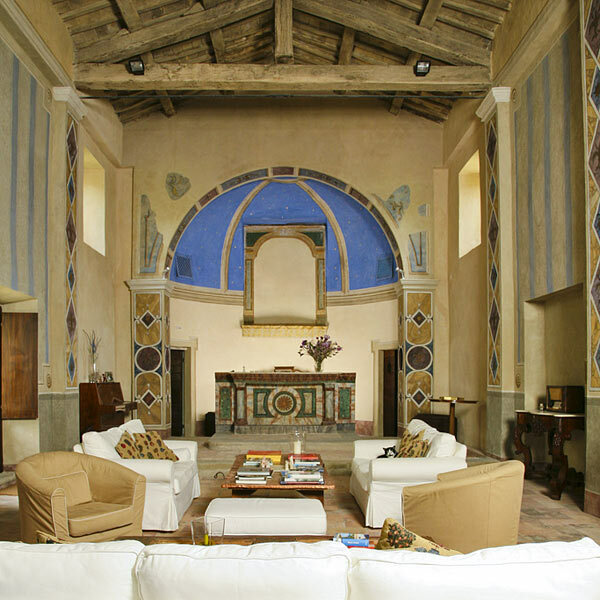 Borgo di Carpiano's converted chapel provides an enchanting, frescoed function room in which classical music concerts, art exhibitions and small meetings are held. 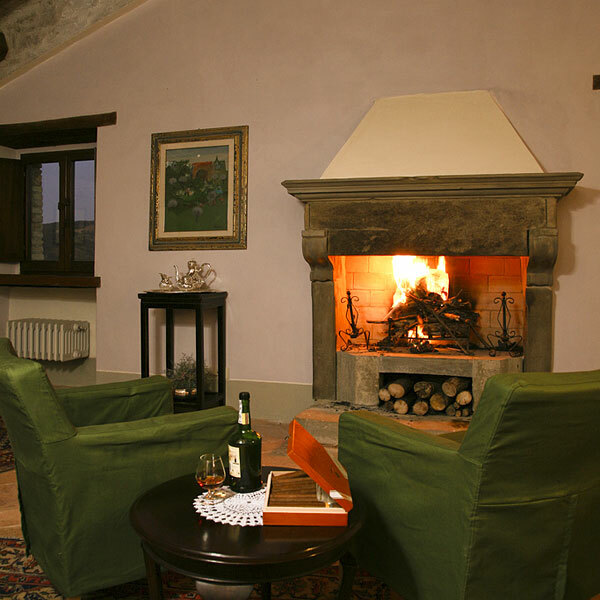 Borgo di Carpiano is situated in the rolling countryside, just outside Gubbio. 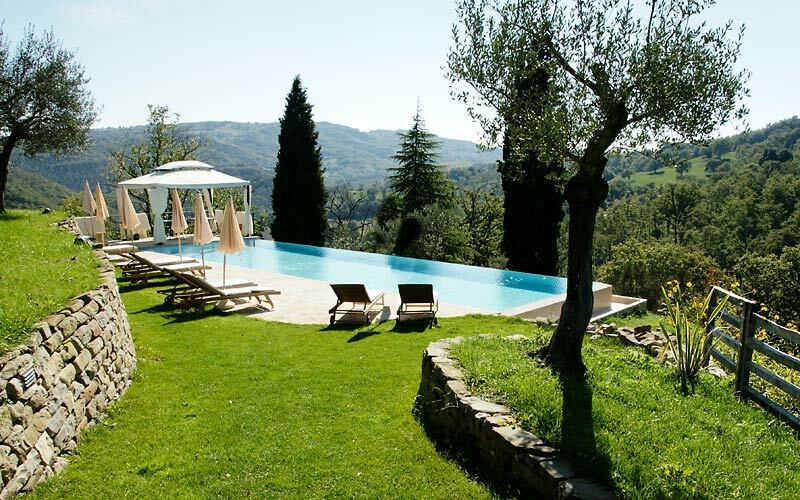 Surrounded by secular olive trees and woods, this exclusive period residence is a paradise for those wishing to enjoy a peaceful vacation in the heart of rural Umbria. 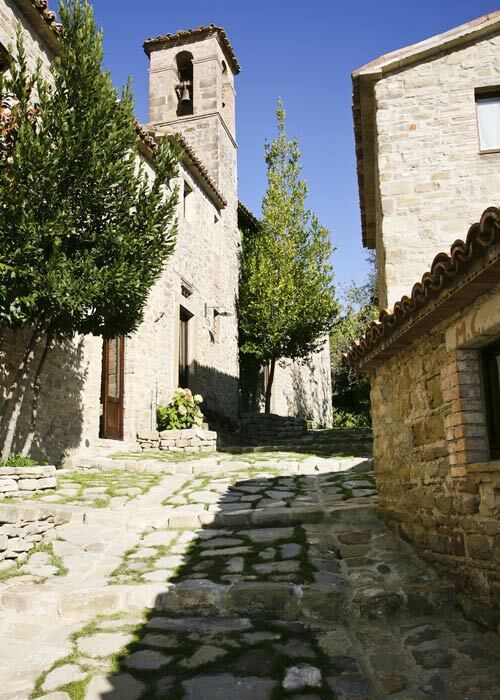 Of course Umbria is not only famous for its countryside, and within easy reach of Borgo di Carpiano, you'll find any number of charming medieval towns and villages and great art cities the likes of Gubbio, Perugia, Assisi and Spoleto. The romantic Lake Trasimeno provides the destination for a perfect day trip.